Washington Square Press, 9781476704654, 384pp. 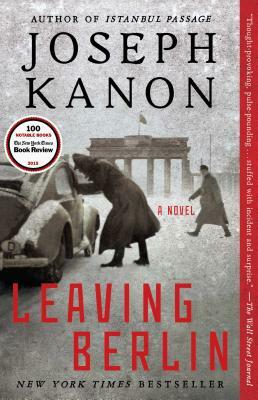 "Kanon, who writes his novels at the New York Public Library, conjures from there a Berlin of authentic menace and such hairpin turns that Leaving Berlin evokes comparisons to John LeCarre and Alan Furst. Such good company." “An unforgettable picture of a city wrecked by defeat and riddled withbetrayal. Brilliant."